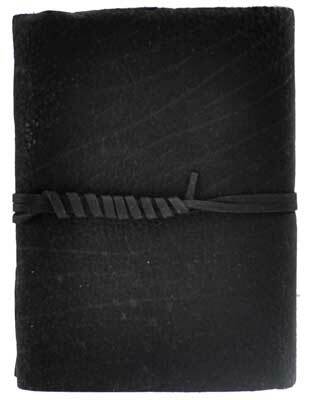 Hand tooled blank book with a soft and supple black leather covering and cord. Sizes vary slightly. Leather, handmade paper. 280 pages, cord closure. 5" x 7"